OTTAWA, December 4, 2018 – Working toward a seamless internal market within Canada is essential to growing the economy and creating jobs. 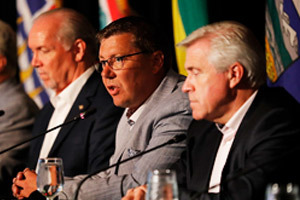 Premiers agree on the urgent need to accelerate the pace of reducing impediments to economic growth. 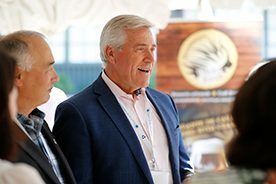 At the Council of the Federation’s 2018 summer meeting, Premiers announced that Premiers Pallister and McNeil will coordinate with provincial and territorial Trade Ministers on this work. 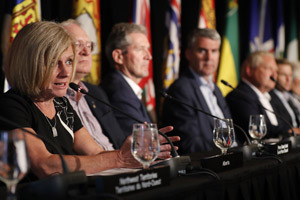 Premiers maintain their shared focus on supporting consumer choice and reducing trade barriers for alcoholic beverages, balanced with a strong focus on trade compliance, social responsibility and consideration of the impact of alcohol consumption on communities. provincial/territorial boundaries for personal use. Seven provinces and territories are prepared to join Alberta and Manitoba in setting no prescribed limits. Four provinces and territories are prepared to move forward with significant increases to their prescribed personal use limits. Premiers underscored their shared commitment to promoting responsible alcohol consumption and to working to address illegal alcohol sales. Provinces and territories are developing an action plan to enhance trade in alcoholic beverages to support improved consumer choice and convenience and enhanced sales channels for producers. Premiers have tasked responsible ministers with overseeing the timely implementation of this plan. 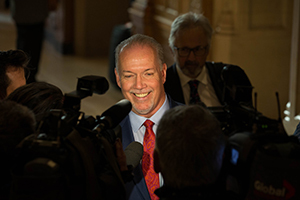 The value of harmonized transportation regulations for industry and consumers is recognized by Premiers. Provinces and territories have agreed in principle to allow the use of wide-base single tires at weight parity with conventional dual tires on all major trade routes in Canada by the end of 2019. Given the different geographic and climate conditions across Canada, some jurisdictions may do so through a permit-based system. This initiative is expected to result in reduced greenhouse gas emissions and lower transportation costs for industries due to higher fuel efficiency, while ensuring the integrity of provincial/territorial and municipal road networks. Premiers directed Transportation Ministers to accelerate efforts to address additional trade irritants in the trucking industry. 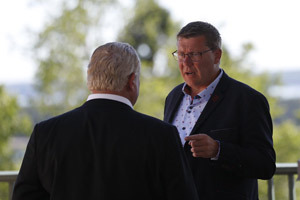 Premiers agree that inconsistent requirements for occupational health and safety equipment, such as the size and number of bandages in a first aid kit, are unacceptable irritants to businesses operating within Canada. All provinces and territories have agreed to adopt and recognize common standards for first aid kits, head protection, eye and face protection, hearing protection, foot protection, and personal floatation devices and life jackets. Businesses operating across multiple jurisdictions will no longer need to bear the time and expense of navigating multiple varying regulations in these areas. Premiers have directed responsible ministers to build on this achievement with common standards in additional areas.